Ready, Set, Lime! Is The Latest Lime Craze As Convenient As It Seems? Is the latest scooter craze to hit the streets really as convenient (and cost-effective) as it seems? 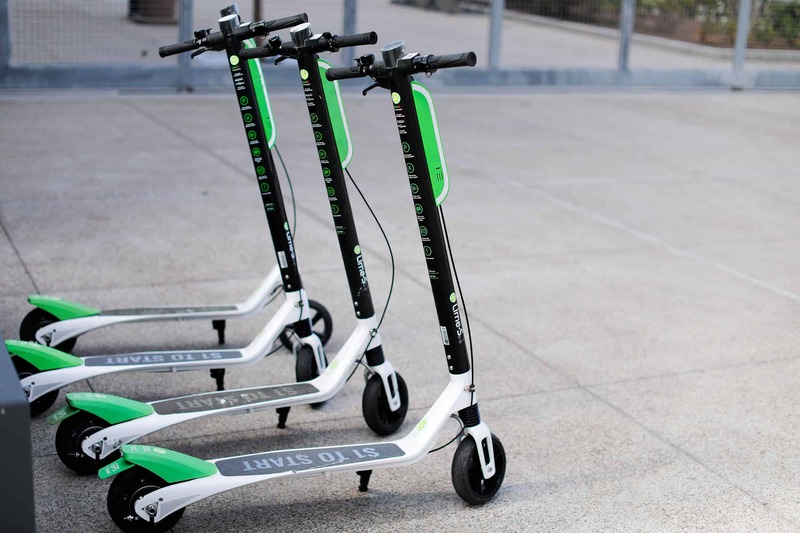 Whether you’re a trend follower or a city commuter you would have certainly noticed the swarm of lime scooters that has descended upon the streets of Brisbane and Sydney. You may have already been tempted to swap the daily bus grind for the latest craze to hit the street: Lime scooters. Set aside your GoCard or Opal card for a helmet and skip the gridlock traffic. Instead, catch some extra zzz’s at home and then enjoy a light scooter ride to work, fueled by innovative electric power. That’s the idea swirling around our heads following the buzz around the new Lime scooter app. But does the hype live up to the reality of whizzing around the city streets at 23 km an hour? Like all crazes, the buzz rarely addresses the practical questions. Let’s start by answering some of your burning questions about the latest Lime craze. How much does Lime scooter cost? When you hear ‘latest craze’ you tend to think expensive. We all love crazy shakes, super smoothies and those delectable doughnuts, but they’re not exactly kind to your wallet. How do Lime scooters measure up? The initial cost to unlock and begin riding any Lime product is $1. Then, you pay 15 cents for every minute you ride. That adds up to $1 every 4 minutes, or $5 for 20 minutes then $15 per hour. How fast is a Lime scooter? A lime scooter’s maximum speed is 23.8km per hour. So, more than your average cyclist, but less than the resident motorised scooter head in your local neighbourhood. It’s good to be aware of the speed before you start Limin’. How to unlock a Lime scooter? To get started with Lime, first, download the app, create an account, then you’re ready to go! To find a Lime near you, simply open your app, and you’ll be taken to the map screen, displaying all the Lime scooters near you. Once you’ve found your Lime, you have to unlock it. Tap on the ‘Ride’ button at the bottom of the screen, then either scan the QR code or manually enter the 6-digit vehicle code, located beneath the QR code. Now, you and your Lime are ready to brave the streets, with a helmet in hand, of course. Where can I ride a Lime? It may come as a surprise, but you can ride Lime scooters on the road, however, if you decide to ride on the streets, you must observe all traffic laws. If you’re taking your Lime to the streets, then make use of the bike lanes provided and watch out for cyclists! If you’d rather stay off the streets, you can stick to the pathways with the pedestrians. Of course, on the pathways, you must be aware of your fellow commuters, as well. How do you pay for Lime scooters? Paying for your Lime ride is pretty easy (easier than riding it, perhaps!). Simply enter your credit card information when you create an account and all rides will be credited to that card. What happens after you finish your Lime adventure? When you finish your Lime adventure across the city, it’s time to dock your vehicle. Firstly, make sure you park it in an appropriate place, where the scooter won’t cause any obstruction to road or footpath traffic. After you find an appropriate parking stop, you need to lock your Lime vehicle and say your teary goodbyes. To lock your Lime bike, simply push down the locking mechanism connected to the rear wheel. If you’re riding a scooter, then simply tap ‘End Ride’ in your Lime app. Once you’ve completed your ride, you’ll have the record on the app. Now, we’ve answered the burning questions, let’s get down to testing those big claims. At the moment, Lime vehicles are only available in Brisbane and Sydney, with plans to expand the empire to Perth, Adelaide and Melbourne. Lime claims to be the cheapest ride share, which isn’t a big surprise; you’d hope riding a scooter or bike would be cheaper than taking a taxi. So, let’s really put Lime to the test and see how it measures up to its biggest rival; public transport. In terms of public transport costs, Brisbane comes in first place as the most expensive city to get around via bus, train or ferry, with an average family paying $65 a week to commute. The average family is defined as two adults and two kids. So, let’s assume that the kids don’t use public transport, just the adults. That means that each adult is paying $32.5 a week for public transport. In Brisbane, it cost $3.31 to travel one zone, so it’s fair to say our family isn’t travelling very far. Now, how does Lime measure up? Let’s say you travel 5 km to get to work, and you typically spend $3.31 on the train or bus, and you want to spice up your commute up taking a Lime. If you travel at an average of 15 km an hour, for 5 km it would take about 20 minutes. So, that’s $5 for a ride to work. In other words, an extra $1.69 per trip. So, it’s fair to say that substituting your train or bus trip for a Lime wouldn’t be that kind to your wallet. However, if you’re taking Uber’s to work every day, then Lime is a great alternative! In the last few months, if you’ve travelled within Brisbane or Sydney’s CBDs then you would have noticed the influx of Lime scooters on the pathways and roads. But the question remains, what if you want to ride and there are none in your area? Well, at this point, the service is only limited to the inner-city area, in both Brisbane and Syndey. The initial wave of Lime vehicles was 500 in Brisbane and 300 in Sydney. It doesn’t sound like a lot. Basically, you have to be in the right area to snap up a scooter or bike. So, you may first have to walk before you start zipping around the city on your green scooter. How safe are they really? Lime has committed a lot of marketing expense to educate riders about how to ride their vehicles safely. A commitment to safety is an inaugural part of Lime’s brand. However, this commitment doesn’t always mirror the city that Lime inhabits. Let’s look at Brisbane. Most people would agree that Brisbane hasn’t built the infrastructure to handle the rise of alternative modes of mobility, like cycling and Limin’. A common practice for most European cities, where Lime has fitted right in, has been to reduce local street speeds to 30 km an hour. If we’re looking to new forms, or dare we say, smarter forms of mobility, then we need to make the transition safe by adapting old laws to the new ways. Currently, Brisbane’s inner-city is in need of safe routes for Lime vehicles and other alternative transport to truly thrive and take off, so to speak. But, how does Sydney measure up? Well, Sydney doesn’t have a great rep when it comes to pay-as-you-go bike providers, like Ofo and Reddy Go. After a score of vandalism and hazardous dumping, past bike providers were forced to withdraw their service from the Sydney streets. So, will the new kid on the block survive the Sydney crowd? At this point, it’s illegal to ride powered scooters in public roads and pavements in NSW and Victoria, so Sydney just has the Lime bikes to contend with. Of course, Lime wants to see those laws change, or at least amended to make exceptions for companies like Lime. So, it’s clear the government deems the scooters unsafe, and the Lime bikes must survive the possible neglect from the public. Lime is working with the council to combat issues of public vandalism, and introducing the bikes (and eventually scooters), in a way that encourages compliance from the public, reducing the possibility of offences that have occurred in the past. Do they help fight climate change? The bright green colour of lime’s vehicles is no accident. Powered by an electric engine, Lime vehicles stand out as a healthy alternative to petrol-powered services like Uber and Oia, and public transport. The Lime vehicles also symbolise the beginning of a shift in thinking. In America, around 40% of all car trips are less than 3.2 km. Lime scooters and bikes represent a change in urban transport. Where we move away from petrol-fueled vehicles for short distances and rely on clean energy. So, Lime is certainly fighting the good fight, but for it to win, everybody needs to jump on board.